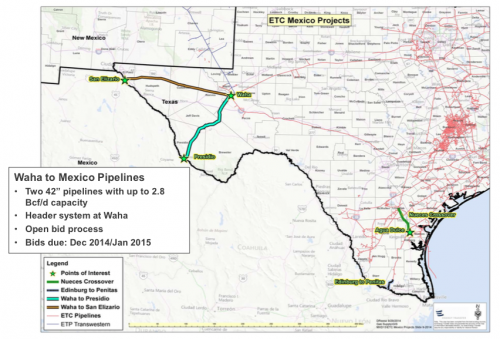 A Dallas-based company looking to build two sizable natural gas pipelines from Far West Texas to Mexico says it plans to have both pipelines built and operating by early 2017. Energy Transfer won a contract from Mexico’s electricity commission to build the manage the pipeline’s construction. It’s estimated the two 42″ lines could carry a combined 2.8 billion cubic feet of natural gas per day. In an earnings call this week, the company’s CEO Kelcy Warren – also the owner of the Lajitas Golf Resort near Big Bend National Park – said the company’s making progress on meeting that timeline. 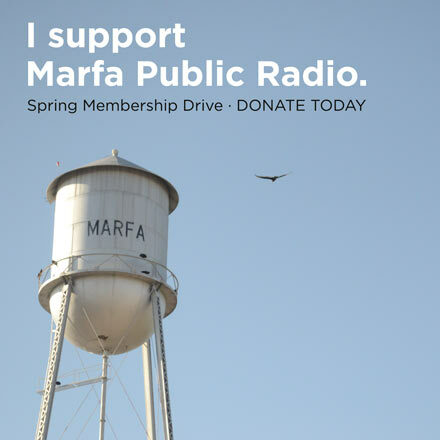 One of the pipelines would stretch from near the towns of Monahans and Pecos south through the Marfa area to Presidio. The other would travel from the same area west to the border near El Paso. Some West Texans are worried about how the pipeline’s construction would impact roads and the environment, while some people across the border are wary of selling their land for development on the Mexican side. The company’s also looking to expand its holdings in South Texas and other parts of the Permian Basin. This entry was posted in KRTS News and tagged Border, Economy, Energy, Energy Industry, Natural Gas, Permian Basin, West Texas to Mexico Pipeline. Bookmark the permalink.